Sheringham is twinned with both Ottendorf in Germany and Muzillac in France. Find out more about both these twinning organisations below. Sheringham and the surrounding area is twinned with Muzillac and its environs. Muzillac is on the South East coast of Brittany. The Association was formed in 2004 and since then there have been regular visits between members of the Sheringham group and members of the Muzillac group. Our aim is to bring the two peoples of Sheringham and Muzillac closer together, to forge friendships and understanding between the two towns and to explore cultural similarities. Here in Sheringham we have regular meetings for members which include group meals, wine tastings, picnics and other events. 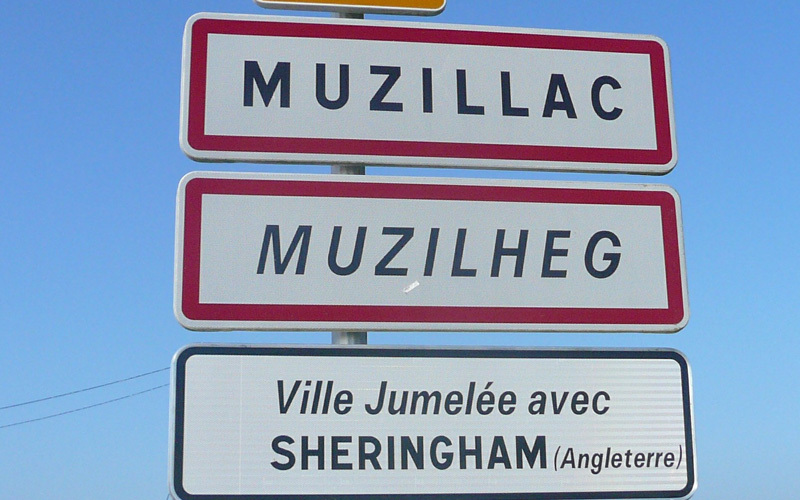 Once a year we either visit Muzillac or host our Muzillac friends in Sheringham. Being able to speak some French, even if just a little, is useful but not essential. The most important thing is to be interested in French way of life and helping to make our French friends welcome. If you are unable to host visitors there are many other ways in which you can be involved. Otterndorf is Sheringham’s German Twin Town and is situated at the mouth of the River Elbe approximately 60 miles north of Hamburg. 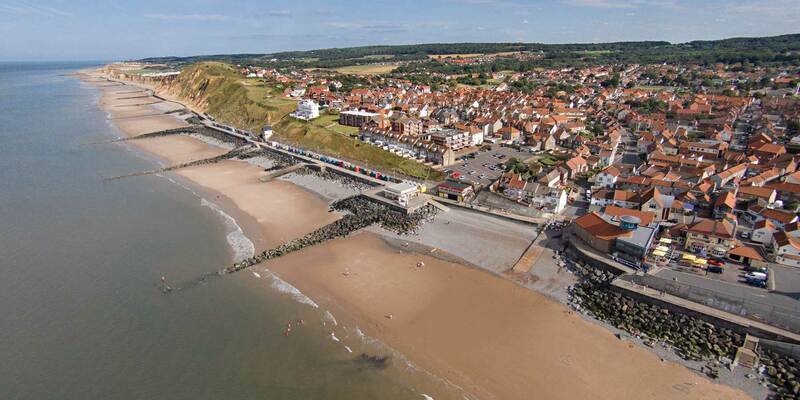 It is a very old town (over 600 years) and has a similar size population to Sheringham. 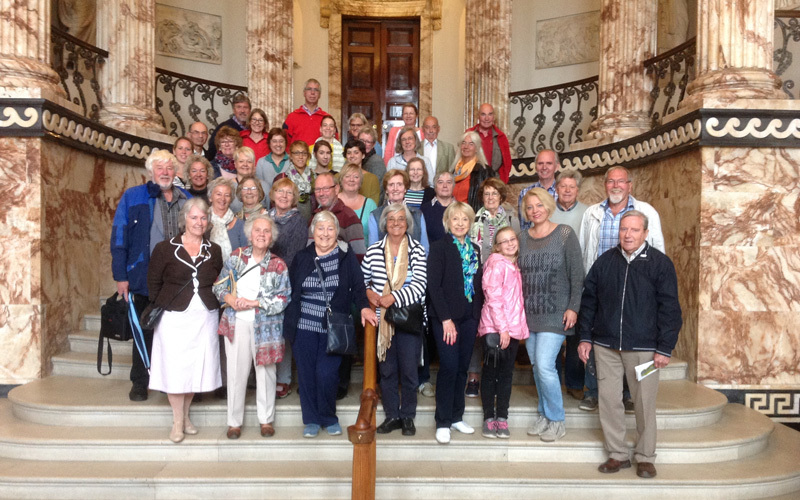 The Sheringham Otterndorf Twinning Association started following extensive enquiries by both Sheringham and Otterndorf Town Councils to find a suitable partner town with which to enter into a twinning partnership. Having once established the suitability of the two towns to twin, Sheringham Town Council called a series of public meetings and in March 1987 Sheringham Otterndorf Twinning Association was officially formed. The charter document was formally signed by representatives of both towns first in Otterndorf in October 1987 and then in Sheringham in April 1988. To promote and foster friendship and understanding between the people of both towns, by encouraging visits between individuals and groups. To organise fund raising events and social activities. Town exchange visits take place annually and in 2018 our members will be visiting Otterndorf at the end of August when there will be a 30th Anniversary celebration. Group exchanges have included Schools, Churches, Shantymen, Rotary Clubs and recently students from Otterndorf have been studying at Sheringham High School.